Biography: James W. Carr was appointed to the Coordinating Board in 2015 and is serving a term that will expire in 2021. 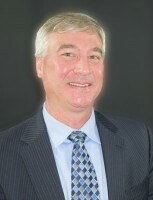 Dr. Carr serves as Senior Vice President and Professor of Business at Harding University. Prior to joining the Harding staff he served in administrative positions at Florida State University and the American College Testing Program. In 2006, he was nominated by the President of the United States and confirmed by the U.S. Senate to a position on The National Security Education Board. He is currently on the State Board of the Chamber of Commerce and Board of the Boy Scouts of America. He was a member of the Arkansas Forestry Commission from 2003 to 2015. He consults regularly with colleges and universities around the country in the area of strategic planning, student retention, enrollment development and fundraising. Dr. Carr received his PhD from Florida State. 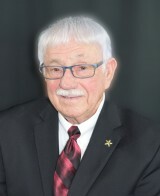 Biography: Mr. Hugh Allan “Al” Brodell of Jonesboro was appointed to the Arkansas Higher Education Coordinating Board in 2017 and is serving a term that will expire May 1, 2023. Biography: Christopher R. (Chris) Gilliam of Magnolia was appointed to the Coordinating Board in 2014 and is serving a term that will expire in 2020. A graduate of Southern Arkansas University (SAU), Chris is a former member of the SAU Board of Trustees and SAU Alumni Association Board. Chris is a member of the Magnolia Rotary Club and currently serves on the Rural Development Authority, Columbia County Wage/Literacy Council and South Arkansas Youth Services Mentoring Program. Chris has been employed at the Magnolia Banner-News for the past 31 years and currently serves as Sports Editor. Biography: Dr. Charles Allen of Little Rock was appointed to the Coordinating Board in 2007 and is currently serving his second term that will expire in 2019. 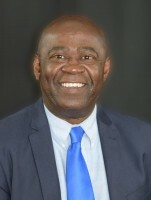 Dr. Allen serves as a business and industry representative and is the chief administrative officer for the Correction’s School System of Arkansas. Dr. Allen has 40 years of experience as an educator and has served as superintendent for three Arkansas school districts, a county school supervisor, a high school principal, and an educational supervisor with the Arkansas Department of Education. Biography: Keven Anderson of Rogers was appointed to the Coordinating Board in 2017 and is serving a term that will expire in 2023. He is the President and CEO of Anderson Electric and Plumbing Supply Company. He is a former member of the NorthWest Arkansas Community College Board of Trustees and a current member of the Arvest Bank Board. He holds a degree in Business Administration from Drury University. He is also a former state Representative where he served from 2002-2008 and was Chair of the Revenue and Tax Committee in 2007. Biography: Dr. Olin Cook of Russellville was appointed to the Coordinating Board in May 2008 and is currently serving his second term which will expire in 2020. A retired educator, Dr. Cook has served as the Executive Vice President and Vice President for Academic Affairs at Arkansas Tech University and for 10 years as the Director for the Department of Higher Education. He has served on several boards, including the River Valley Shelter for Battered Women and Children. Dr. Cook has also served as the Chair of the House Education Committee and is a former State Representative. Biography: Mrs. Lori Griffin of Van Buren was appointed to the board in 2017 and is serving a term that will expire in 2022. Lori Griffin is the Principal of Ballman Elementary School in Fort Smith and is currently serving in her 25th year of education. Lori graduated from Arkansas State University in Jonesboro with a Bachelor's degree in Elementary Education and graduated from Arkansas Tech University in Russellville with a Master's degree in Educational Leadership. She was designated by the Arkansas Department of Education as an Arkansas Master Principal in 2012 and is currently serving as Vice President of the Arkansas Elementary Association of Elementary School Principals. Biography: Mrs. Sherrel Johnson of El Dorado was appointed to the board in 2012 and is serving a term that will expire in 2018. She is a special projects coordinator for the Union County Water Conservation Board. She is the former director of speaker programs at the University of Arkansas Clinton School of Public Service and interim vice chancellor for university advancement at the University of Arkansas for Medical Sciences. 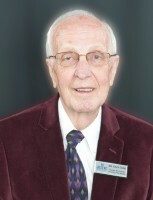 Johnson served on the South Arkansas Community College board of trustees from 2007-2012. Biography: Greg Revels of DeQueen was appointed to the Coordinating Board in 2013 and is currently serving his first term, which will expire in 2018. Mr. Revels previously served on the Cossatot Community College of the U of A Foundation Board and graduated from Ouachita Baptist University. 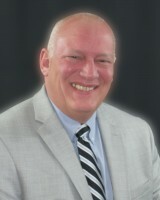 Mr. Revels is a Certified Public Accountant and the owner of Revels and Company CPA in DeQueen. Biography: Samuel T. Sicard was appointed to the Coordinating Board in 2014 and is currently serving a term that will expire in 2019. 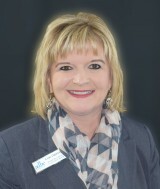 Serving as a business and industry representative on the board, Sam is the President/CEO of First Bank Corp. Sam received a BSBA in Finance from the University of Arkansas, Fayetteville. He currently serves on the Fort Smith Boys and Girls Club Board of Directors, the UAFS Foundation Board of Directors and the Fort Smith Regional Chamber of Commerce. Biography: Dr. Michael Stanton was appointed to the Coordinating Board in 2015 and is serving a term that will expire in 2021. Dr. Stanton earned his M.D. from the University of Arkansas for Medical Sciences (UAMS) in Little Rock. 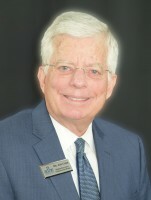 He previously served on the University of Central Arkansas (UCA) Board of Trustees. He is involved in alumni affairs and regularly attends sporting events at UCA. 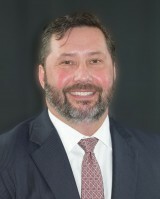 Dr. Stanton is currently a practicing General Surgeon at the Conway Regional Medical Center.